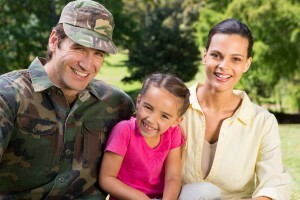 Nutricia is pleased to share wonderful news regarding medical food coverage for families in the US military affected by a condition or metabolic disorders that requires the use of medical food. On Tuesday, June 14th (also flag day), the US Senate in the National Defense Authorization Act authorized medical foods coverage for Fiscal Year 2017 (S.2943). Nutricia North America is dedicated to improving the quality of human life through medical nutrition and truly understands the impact of such a milestone in our country. Those living with metabolic disorders such as Phenyketonuria (PKU), Maple Syrup Urines Disease (MSUD), Urea Cycle Disorders (UCD), as well as digestive disorders, such as Eosinophilic Esophagitis rely on medial food to support their health and well-being. A lack of access to these medically necessary products can be catastrophic to many families both within and out of our military. We are proud to innovate and manufacture medical foods and thank NORD and other organizations that work tirelessly to improve access to these important resources . This is a win for our military and a step forward for the future of medial food access for all. Previous PostGet Creative with PhenylAde™ 60Next PostThank you NPKUA!